Comment: Every company should be issuing debentures to take advantage of this low interest rate environment. Project Planning Service Plc (PPS), which has been listed on the Market for Alternative Investment since September 2012, is a major engineering professional services firm. 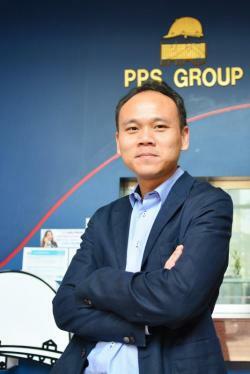 Phongthon Tharachai, deputy managing director, discusses the company’s strategy and outlook. What is PPS’s business model? We offer a comprehensive range of project consultancy services that includes management and construction supervision of construction work such as buildings and infrastructure, structural and architectural work, civil work, utility systems, landscape, interior decoration and others. We have executed more than 200 domestic and cross-border projects for both public and private-sector clients. The former include the Bank of Thailand and Suvarnabhumi airport (phase one), and the latter include the Grand Hyatt Erawan Bangkok, CentralWorld and Central Embassy, Makro and Tesco Lotus stores. Mr Phongthon says the weak economy and lack of transparency remain risks. Who are PPS’s target customers? We are able to service a wide variety of customers and projects in the retail, residential, healthcare, education, hospitality, industrial, office and public infrastructure fields. Because PPS has been in this business for 28 years we have been able to gain the trust of our customers, which is why we have very high repeat business from these groups. What is PPS’s value proposition to its clients? Our role as a project manager is to ensure that the budget, quality and timing are within the customers’ expectations. The knowledge that we provide to our clients is intangible and difficult to prove until after a project is completed and then clients realise the value that we provide. Also, given that our services typically represent only 1-2% of project value, it is a very small price for project owners to pay in order to alleviate the stress and complexities that come with managing a project. We have also grown beyond merely offering engineering advice and construction management, and through our subsidiaries and investments in other businesses we can offer other services. For example, PPS Design Co Ltd offers services in structural design and system building work. Swan & Maclaren (Thailand), specialising in architectural and interior design, is a joint venture with Swan & Maclaren LLP, one of the oldest architectural design firms in Singapore. PPS Information Consultant Co Ltd offers services in information technology, in particular media and advertising, and has created its own programme to facilitate construction supervision. Comment: Clever move on the part of BBL, never cared much about this so-called long term “Phoenix” project that IRPC have been touting for years.